Investigators accuse the teacher of posing as a female online and forming relationships with young men. A parent claims the Gilroy Unified School District put students in danger because it did not act on her complaint about a teacher accused of having illegal relationships with minors online. 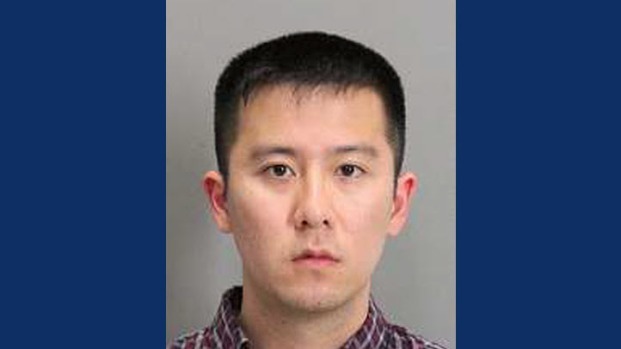 Celest Benn said she complained about Douglas Le, a Gilroy High School science teacher, in 2014. Benn, with high-profile attorney Gloria Allred by her side, on Wednesday told the board of education no one wanted to hear about what she calls sexually-explicit conduct directed at her 15-year-old daughter. "They should have taken me seriously. They should of done something," Benn said. "The principal would not see me." Le stayed at Gilroy High after Benn's complaint. Benn in response transferred her daughter out of the school. A parent claims the Gilroy Unified School District put students in danger because it did not act on her complaint about a teacher accused of having illegal relationships with minors online. Jean Elle reports. San Jose police officers arrested Le on campus last week. Investigators accuse the teacher of catfishing, posing as a female online and forming relationships with young men. Police said Le convinced hundreds of minors to send him lewd pictures. A school district board member said the district served Le a notice of unprofessional conduct following Benn's original complaint. The board member also said the district had no indication Le was catfishing and received no further complaints. Allred said she is meeting with the alleged victims' families and wants to know why the district did not involve police in 2014 -- a move Benn said would have kept kids safe. "These poor fellas. My heart breaks for every parent," Benn said. "This shouldn't have happened." Allred said she plans to announce some kind of legal action on Thursday. Le resigned from the district last week and is out of jail. The District Attorney's Office said police are still investigating and have not handed the case over.